Castle Sewing Centre, a family owned business, has been serving the sewing enthusiasts of the lower mainland of British Columbia since 1942. 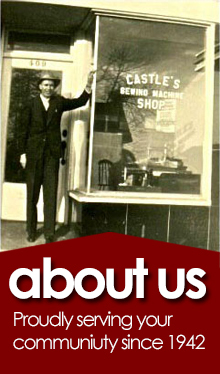 From the beginning, James Castle believed in providing the best in sewing technology, products & service to every customer. Over 70 years and 3 generations later, we carry on that same practice to this day. When you purchase a machine, from Castle Sewing Centre you become part of our "sewing family." 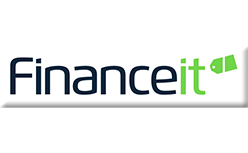 You can continue to call on us for assistance and support for the lifetime of your machine. At Castle's we take pride in making your sewing experience enjoyable and rewarding. For those enthusiasts seeking inspiration, we offer a variety of sewing seminars and hands on workshops. For more detail listing of the current class schedule please see our calendar page. If there is a class suggestion we welcome you to contact us with your request. We encourage you to visit our family business to discuss your sewing needs and take advantage of the services that will best benefit you. In 1982 James Castle's Daughter Irene and Husband Jim Bulman along with their son Clint took over the store and worked together to grow the Castle Sewing name to what it is today. 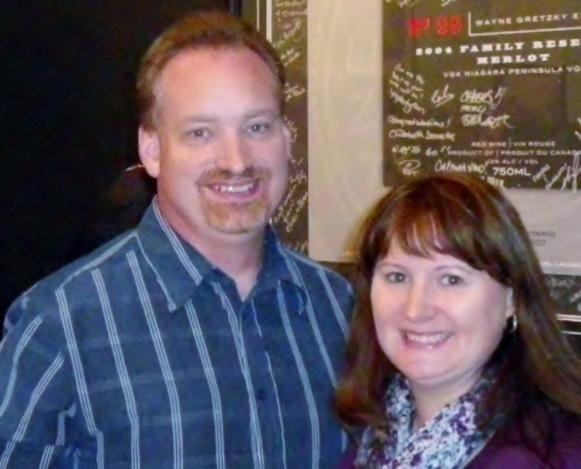 In 1986 Clint's wife Stephannie also joined the team. 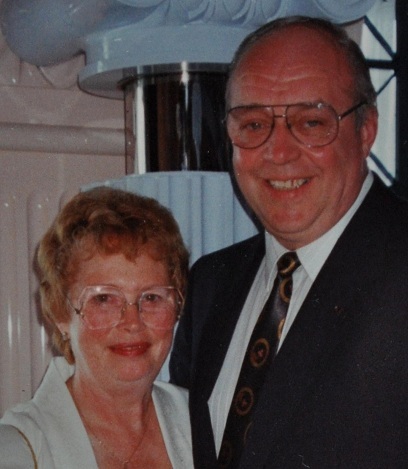 In 2002 Irene and Jim retired leaving Clint and Stephannie to carry on the family tradition. Clint and Stephannie ,along with their knowledgeable staff, are pleased to provide assistance and direction that is tailored to your area of interest and specialization. 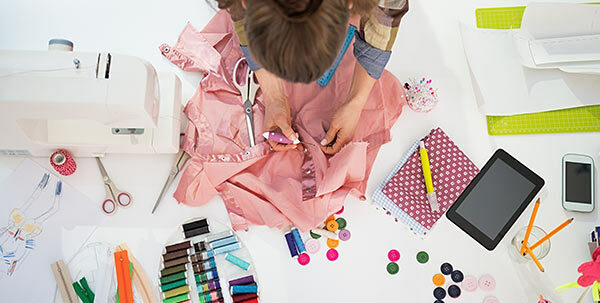 Whether your interest is quilting, embroidery, home decor or any one of a growing number of specialty areas, we can provide the right product and information. We provide unparalleled follow-up with one-on-one unlimited lessons with the purchase of a sewing machine or serger, assistance with any type of sewing queries and help in your selection of our complete line of needles, sewing accessories and threads.